JYM Pro JYM – What’s in it? JYM Pro JYM is an up-and-coming protein supplement that promises to help you build muscles fast. Choosing the right brand of protein supplement to start with may be quite confusing at first, and like any other man in his right mind would do, you’d want to ask experts for advice. One of those experts on the web is Jim Stoppani, PhD. Jim Stoppani PhD is known in bodybuilding circles as one of the experts in Exercise Physiology. In fact, he authored “Jim Stoppani’s Encyclopedia of Muscle and Strength”. You might have read a few of his articles, as he has authored hundreds of articles about exercise and fitness. In all righteousness, Jim Stoppani is an expert in his craft, but how would you respond if a person with a PhD would sell you a formula that he developed himself? Most would buy it in a heartbeat, and that’s what JYM Pro JYM wants to accomplish. However, a little digging would reveal that the company behind JYM Pro JYM, Stoppani Supplement Science, has yet to obtain its GMP certification. One thing that may be hampering the success of JYM Pro JYM is the logical thought that if a fitness expert that would recommend a supplement, it would be a basic requirement to have at least a GMP certification. GMP certifications are issued to combat supplement fraud, a rampant trend that’s eating the supplement industry away. GMP certifications are issued to companies that exhibit top-of-the-line quality control. Of course, the absence of the certificate doesn’t mean that the product is no good. That’s why we took a closer look into JYM Pro JYM to see if it’s appropriate to consider it one of the best. The idea behind JYM Pro JYM is to enable your muscles to develop faster by supplying it with enough nutrients pre-, intra-, and post- workout. That’s why JYM Pro JYM is equipped with different proteins that break down at different rates, to ensure that there’s always enough protein in your body to aid developing muscle groups. The product also claims that this mixture of different proteins would help minimize catabolic activity, to improve the ratio of body fat vs muscle mass. According to the people who tried using JYM Pro JYM, the taste was OK but not memorable. Serious athletes would argue that it’s not the taste that makes the product, but it’s effectiveness. 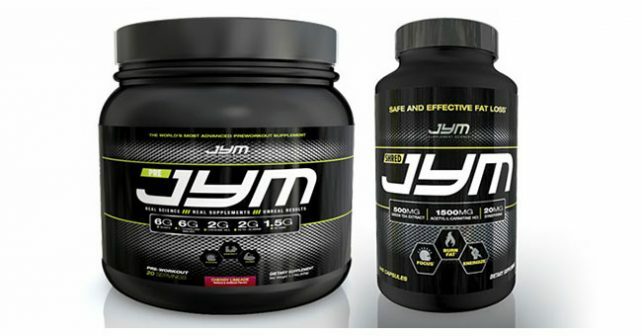 Majority of those who have tried JYM Pro JYM has stated that there were no immediate effects with the product. No feeling of explosiveness as the product literature claims. Proteins build muscles. You don’t need a PhD to know that. All you need is just a crash course in human anatomy and physiology, and a little advice from your mum to eat red meat. What the awesome doctor got right is the mixture of protein that breaks down differently to supply your muscles with protein for longer periods of time. You might notice that the protein concentration isn’t up to par with the best muscle building supplements in the market today. 24 grams of protein in one serving is quite the average with protein shakes. Since the protein is also absorbed over a longer period of time, many question its effectiveness since 24 grams of protein is spread thin over several hours of digestion. Conventional reasoning suggests that the amount of protein you absorb would be less in terms of concentration, but the protein would be processed, and you still get a fraction of the nutrient over a period of time. It would be reasonable to question the absence of a GMP certification. Let’s just hope that the Stoppani Supplement Science gets it in time. For the meantime, you might want to check out NitroGenix 365 – a product that has the right blend of proteins, energy-boosting nutrients, and hormone level enhancers to build the body you’ve always wanted.